The technology, the suits say, violates the Telephone Consumer Protection Act, a federal law that controls how businesses market their products to consumers over the phone. 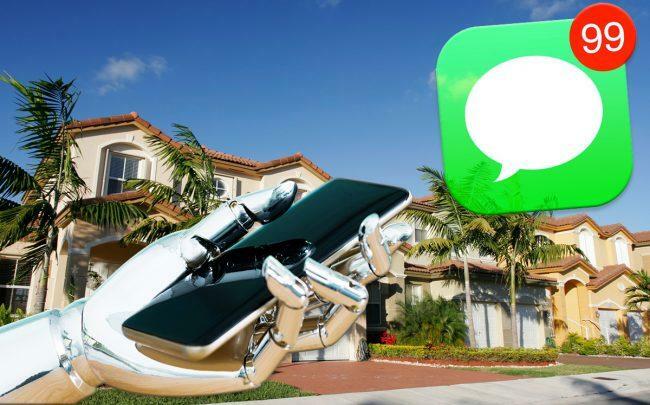 In Marzucco’s case, an agent allegedly sent Larosa text messages asking for his email address and offering to “get your home sold within 60 days!” The messages linked back to the agent’s Zillow profile. Coldwell Banker faces similar accusations. Rather than canvassing for sellers, the agent in that case allegedly sent Grossberg messages advertising an “OPEN HOUSE” at a specific property. Those messages linked to a website the agent had made through a lead-generation company named Listings-to-Leads. Scott Pierce, the founder of Listings-to-Leads, confirmed that the agent was a client of his, but denied that he had sold the technology to spam Grossberg’s phone. He said that agents who use multiple tools might run into legal trouble if they aren’t familiar with the law. Regulators are clamping down on so-called “robocalls,” which afflict consumers across many industries. Last year, the Federal Communications Commission slapped a $120 million fine on a Florida scammer who made nearly 100 million calls, claiming association with brands like Expedia. But few cases have involved real estate—an industry where sales agents are increasingly turning to online services as a way to close deals.